If there are two passions that our principal David Thompson follows more than any others, it's fishing and music. 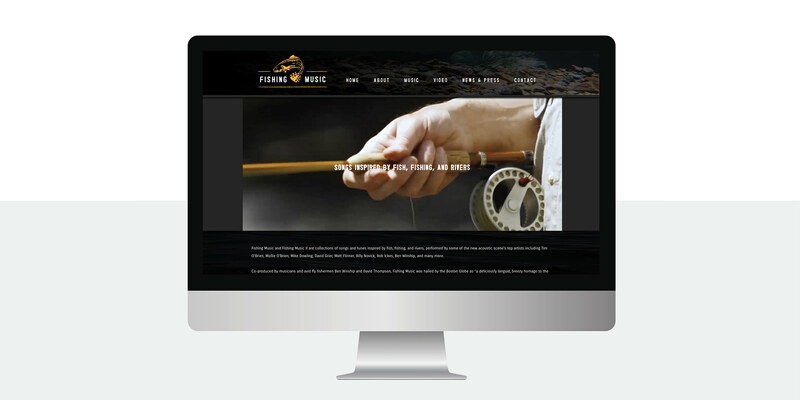 Along with friend and music producer Ben Winship, they released two acclaimed CDs called "Fishing Music" (I and II). 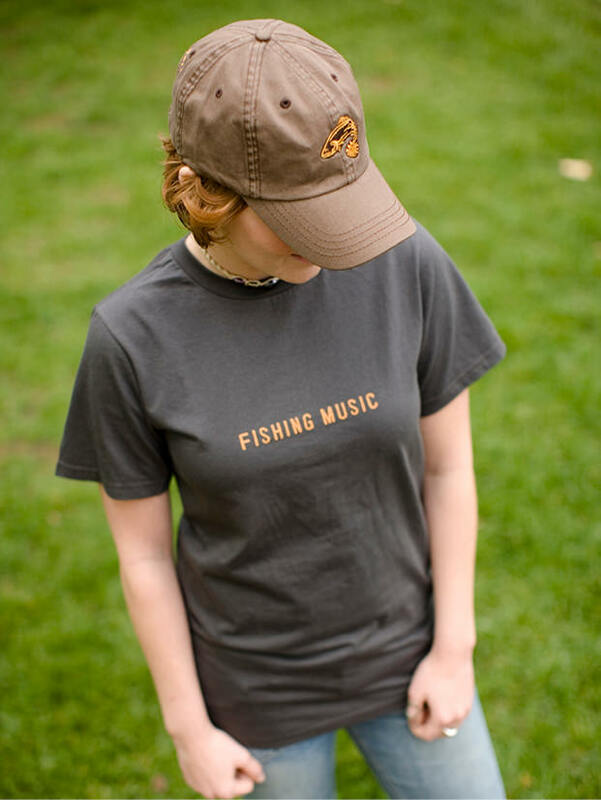 They are "original and classic songs inspired by fish, fishing, and rivers" and feature some of the top acoustic musicians in the country like Tim and Mollie O'Brien and Mike Dowling. 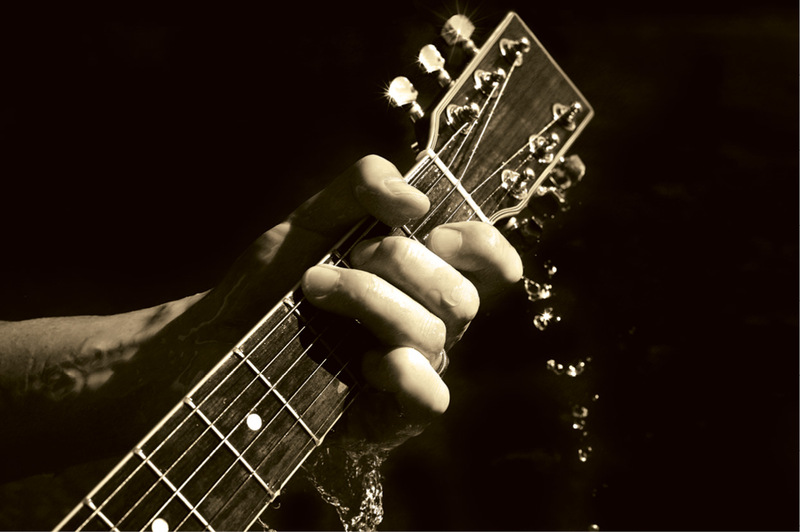 After releasing the first album, Ben and David, along with friend and singer John Lowell, were invited to perform on Garrison Keillor's globally-syndicated radio program "A Prairie Home Companion" where they performed "Madison Brown," one of the original songs they wrote for Fishing Music I. The lead track of Fishing Music II, an original David wrote called "Little Miss Cutthroat," brings to life a rather quirky love story -- and it just begged the creation a music video, so that's exactly what we did. 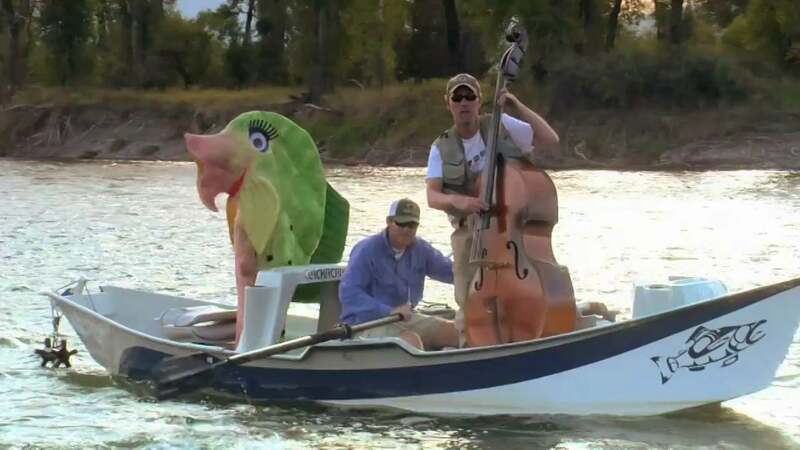 Maybe we're wrong, but we're pretty confident the Little Miss Cutthroat video is likely the only time you will see someone playing upright bass in a drift boat on the Yellowstone River. 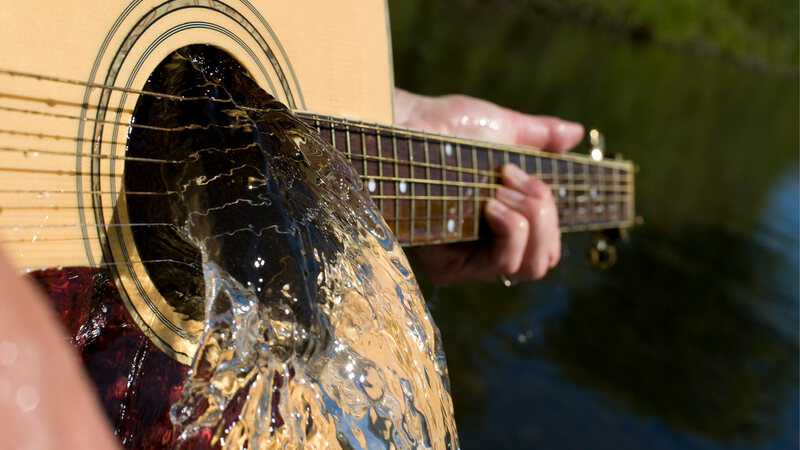 We were awarded a gold Addy award for the packaging design, and yes on the cover it's a real guitar we actually sunk in a local trout stream — and don't worry, it was already broken beyond repair.